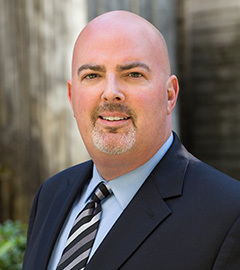 My name is Chris Thayer and I am a wrongful death attorney practicing in downtown Seattle. I have developed this website to provide information about me, the services my law firm provides, and to give the consumer some basic background information and resources relating to wrongful death claims in Washington state. I handle wrongful death, personal injury and medical malpractice claims throughout the greater Seattle area, including Pierce, King and Snohomish counties. A little about me: I have been handling personal injury, wrongful death, insurance, and medical malpractice claims in Washington since 1995. A wrongful death claim is where a family has lost a loved one due to the negligent or wrongful acts of another. During this difficult time, whether dealing with insurance companies and medical expenses related to the injuries suffered in the incident, or whether a family is struggling to address the difficult questions and issues that arise out of the tragic and accidental death of a loved one, it is important to understand your rights and to make sure that you are being treated fairly. We will get to know you and your family so that we can help the insurance company or jury understand what has happened to you and your family and how it has changed your lives. I am dedicated to efficiently and compassionately representing my clients to assist them in seeking resolution and compensation for their losses. My philosophy is to represent my clients aggressively to obtain a fair and just result. Under Washington law, if a person’s death is caused by the negligent or wrongful conduct of another, the surviving family members and estate of the deceased may have a claim for what is known as “wrongful death”. [RCW 4.20.010 - Wrongful death - Right of action]. Under certain circumstances, there may also be a claim for the pain and suffering that the decedent suffered prior to their untimely and unfortunate death. [1. RCW 4.20.046 - Survival of actions]. Wrongful death claims can arise out of a variety of circumstances, including car accidents, truck/tractor-trailer accidents, motorcycle accidents, head injuries, nursing home negligence, medical malpractice, dangerously defective products, or other cases involving the negligent or wrongful conduct of another. I am experienced at handling wrongful death claims and I pride myself in providing compassionate and zealous representation for my clients as they deal with all of the difficult emotional and financial issues that arise out of the death of a family member. If you believe that you may have a wrongful death claim relating to the death of a loved one in Washington state, please contact me to schedule an initial meeting and case evaluation for no charge. How Can a Wrongful Death Attorney Help Deal with the Issues Arising out of a Loved One’s Accidental Death? Losing a loved one who dies unnecessarily due to the carelessness of another can be an emotionally devastating experience. Where it appears that the death may have been preventable and may have been caused by the negligence of a person or corporation, families often struggle to decide whether to take action. They are grieving and trying to cope with the often sudden and unexpected death of a family member. I understand the challenges associated with compassionately representing grieving families, while at the same time protecting their rights and aggressively representing their interests. Insurance companies will often try to settle wrongful death claims in the immediate aftermath of a family member’s unfortunate death. If you find yourself in this situation, you are cautioned not so sign any releases or paperwork presented by the potentially at-fault insurance carrier until you talk to an experienced wrongful death attorney who can evaluate your claim and help you make the right decisions. The loss of a family member often has lasting financial, monetary and emotional consequences. While no amount of money will make up for the loss of a family member, compensation can often be fairly negotiated by experienced and compassionate attorneys. Wrongful death claims are challenging and often involve very complex issues that require careful and thoughtful evaluation. If you need an experienced Seattle area wrongful death attorney, please contact me and schedule an initial meeting and case evaluation for no charge. What Damages Are You Entitled to Recover in a Wrongful Death Claim? Depending on the circumstances, certain defined beneficiaries of the estate of the deceased person may recover a wide range of potential damages. First, in what is known as a survival action, the decedent’s personal representative can recover damages personal to decedent, including economic losses, medical and burial expenses, and all pain, suffering, disability and loss of enjoyment of life that was endured during the time preceding death. Beneficiaries of the decedent’s estate also have a right to a wrongful death claim which entitles them to recover damages for the loss of love, care, companionship, guidance and moral and training and instruction decedent would have continued to contribute to their lives over decedent’s natural life expectancy. If the decedent was a minor at the time of death, the child’s parents may also have claim for the loss of their child. If you need an experienced Seattle area wrongful death attorney, please contact me and schedule an initial meeting and case evaluation for no charge. Seattle wrongful death attorney Chris Thayer handles wrongful death claims throughout the Seattle area, including Pierce, King and Snohomish counties.. He has handled cases in Auburn, Bellevue, Bothell, Bremerton, Burien, Edmonds, Everett, Federal Way, Issaquah, Kent, Kenmore, Kirkland, Lacey, Lynnwood, Marysville, Medina, Olympia, Port Orchard, Redmond, Renton, Seattle, Shelton, Shoreline, Snohomish, Tacoma, Tukwila, and Woodinville.